Atlas Copco Compressors is a leading manufacturer of energy efficient compressed air systems and vacuum pumps. We offer specialist compressed air advice; a nationwide sales, service and distribution network; as well as service to UK compressed air and vacuum users. Our product portfolio covers oil-free and oil-injected stationary air compressors, gas and process compressors, vacuum pumps, blowers, nitrogen generators, air treatment equipment (such as compressed air dryers, coolers, and filters), air management systems, and custom designed engineered packages. To keep your compressor or vacuum pump running at maximum availability and minimum total operating cost, we also offer an array of parts and services, including fixed price and ad hoc maintenance plans, genuine spare parts, air system audits, air management systems, energy recovery products as well as compressed air on demand agreements. All supported by 24/7 callout, 365 days a year. 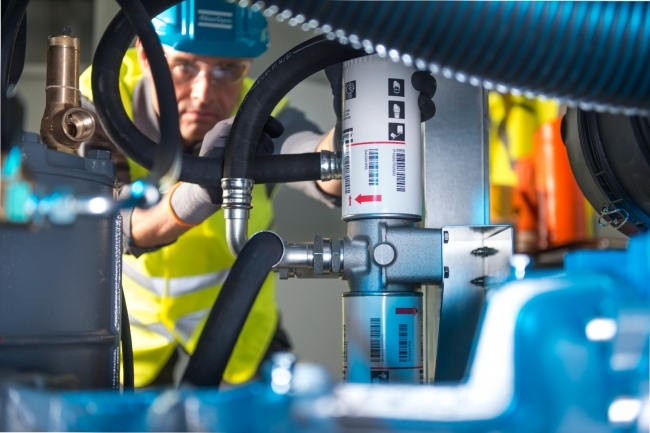 Atlas Copco can help you with all aspects of specification, supply and servicing for oil-free and oil-injected stationary air compressor systems, vacuum pumps, blowers as well as nitrogen and oxygen generation. Our products are suitable for a wide range of applications including general industry, automotive, pharmaceutical, power generation, textiles, chemical & petrochemical, etc. Your solution will always be tailored to suit the exact needs of your facilities. To ensure that we have the right system for your specific case, your local Atlas Copco air expert will do a data logging of your existing installation to identify the potential for savings and quantify the return on your future investment. Our variable speed drive (VSD) technology, for example, allows for 50% energy savings on average by ensuring that your processes get the required air at the required time. Thus the compressor is not using more energy than needed, effectively decreasing your site’s energy consumption. We also have various service plans available for compressed air and vacuum equipment users: choose between Preventive Maintenance Plan for optimal uptime, complete compressor care with a Total Responsibility Plan, a Parts Plan or a Fixed Price Services Plan. 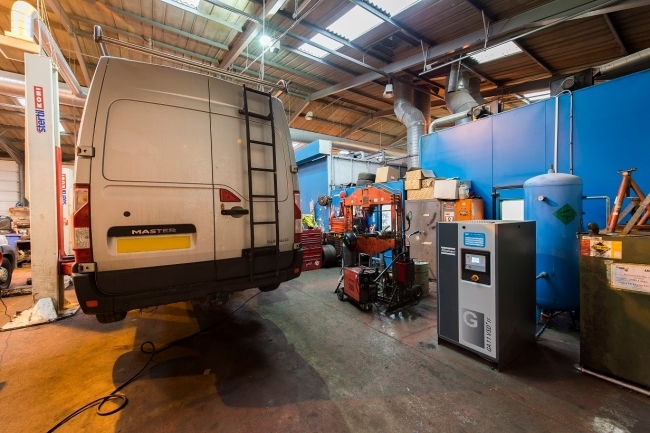 For reliable compressor and vacuum pump service and repairs, we have over 120 distributor and 80 direct factory-trained service engineers all over the UK available 24/7 for compressor and vacuum service support for any brand. What air treatment equipment is recommended for an industrial compressor?